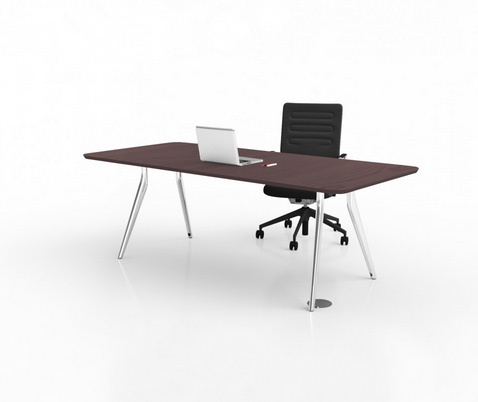 EONA Chilli (from the EONA modular table system family) is manufactured from post-consumer recycled materials, featuring outstanding environmental credentials and a sleek and timeless design, EONA Chilli is the ideal meeting, conference and boardroom table solution. 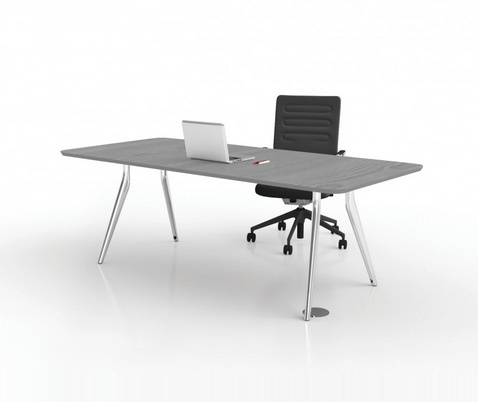 Using 100% post-consumer recycled aluminium for legs and leg support inserts, post-consumer recycled steel for outer leg supports, rails and with adjustable glides, EONA Chilli also features integrated cable management within the leg with a capacity for segregated cables that includes: 1x 16mm Plastic Power Conduit and 2x 6mm Cat 5 and 6 Data Cable. For unsegregated power, the cable capacity is 1x 12mm 20amp Power Cable and 6x 6mm Cat 5 and 6 Data Cable. With legs that can be positioned at narrow or wide stances for small or large tables, adjustments can be made both during and after installation, allowing the table frame to be reused for different future applications. EONA and EONA Chilli have been designed for 100% disassembly ready for recycling. 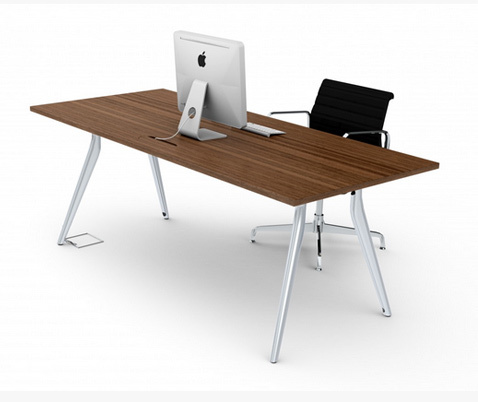 Complements the modular Eona table system. Black Label: EONA Black Label is a new finish available from ThinkingWorks on both EONA and EONA Chilli legs. Black Label provide a lustrous finish that suits high end executive settings and makes a boardroom setting extremely special. Please contact your sales representative for a sample and to see this finish on a product sample.